Get hooked with the easiest and safest way to remove ticks. Made of polyacetal; resistant to alcohol and totally recyclable. View this video to see how this works! Just engage the hook, lift lightly and rotate. Each package contains one (1) large and one (1) small remover. 20 per box, individually packaged with instructions. 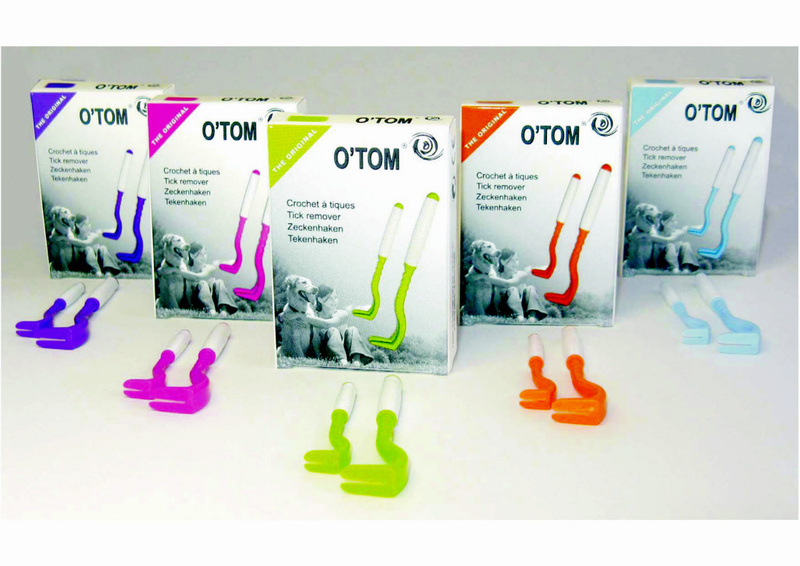 These are the same removers as the original O'Tom, but with one improvement; the easy grip handles. Each individual package comes with one (1) large and one (1) small remover. One box of 20 has 4 packages of each color: Blue, Orange, Green, Pink, & Purple.